It’s that time of the year—tax season. 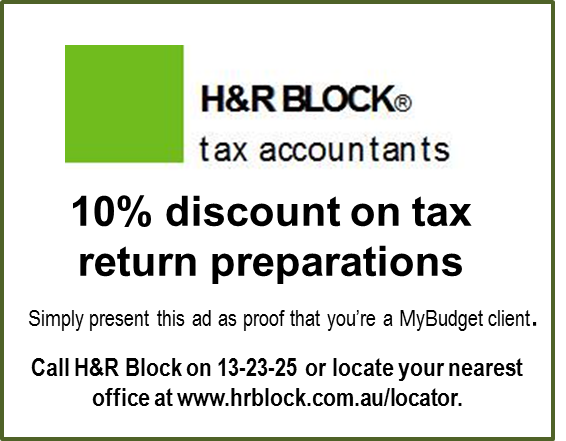 H&R Block is again offering MyBudget clients a 10% discount on tax return services and inviting you to email your tax questions to them at hrblock@hrblock.com.au for free answers. In the meantime, here are their quick tips for staying in the ATO's good books. 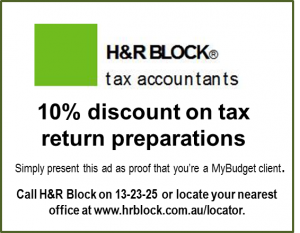 This is a guest post with tax tips provided by H&R Block. Please note that this information is general in nature and is not intended to be a recommendation for your specific circumstances. This year’s Federal Budget was delivered on 12 May. 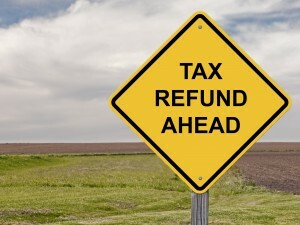 Income tax rates and thresholds for individuals are remaining the same next tax year but small businesses will receive a 1.5 percent tax cut (if they are incorporated) or a $1,000 discount on their tax bill (if they are unincorporated). With the tax year end approaching, you should now be thinking about how to minimise your tax liabilities as we enter tax time. - Can you defer some of your income until next tax year? This can be difficult unless you have a very understanding employer but if – for instance, if you’re expecting a bonus, you might look at getting it paid after 1 July, thus moving the tax liability into next year. This is particularly useful if the bonus might take you over a tax threshold into one of the higher tax rates this year. - Keep your receipts. The ATO announced recently that it would be looking closely at work-related deductions across all industries and occupations (in the past they’ve tended to focus on particular industries and occupations, this year it’s more general), so that means taxpayers needs to check their deductions carefully and make sure they have receipts, invoices etc. to justify their spend. At H&R Block, we’ve noticed a particular focus on travel expenses, including alleged claiming of deductions for home to work expenses and claiming of travel expenses for things like conferences, courses, etc. If you’re claiming costs for trips linked to conferences, courses and so on, make sure you have copies of itineraries, agendas etc. so you can prove the trip was work-related. If you tagged on a holiday, make sure you pro-rate the costs so you don’t claim for the non-business element. - If you have professional subscriptions (or other costs which you pay annually as part of your work), consider pre-paying before 30 June, if your cash flow permits. 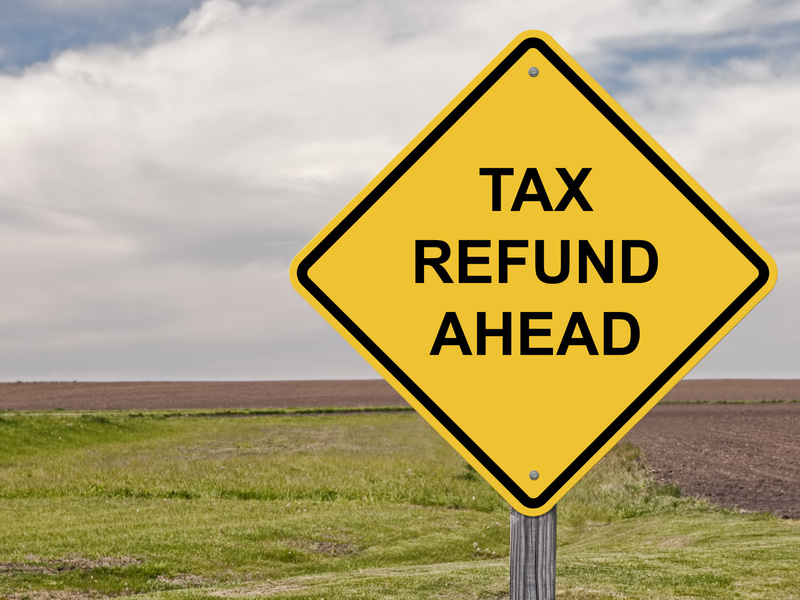 That way, you can claim the deduction this year even if the costs wholly or partly relate to next tax year. - If you work from home, you can claim a proportion of household bills covering the work-related element of those costs. Things you can claim for include: heating, cooling and lighting; decline in value (depreciation) of home office furniture and fittings; decline in value of office equipment and computer; computer consumables, stationery, telephone and internet costs claimed on an actual expense basis. You will need to keep a diary to work out how much of your running expenses relate to doing work in your home office. The diary needs to detail the time you spend in the home office compared with other users of the home office. Keep records for a representative four-week period. Alternatively, instead of keeping details of actual costs, you can use a fixed rate of 45 cents per hour for home office expenses for heating, cooling, lighting and the decline in value of furniture. You just need to keep a record of the number of hours you use the home office and multiply that by 45 cents per hour. Under this method you can also include the decline in value of office equipment (i.e. computers, faxes etc.) but not furniture. The following costs are not deductible as part of home office expenses: mortgage or interest costs; rates and taxes; depreciation on the home. - If your income is less than $49,488 you can take advantage of the government superannuation co-contribution by making after tax (non-concessional) contributions before the financial year end. The government will contribute up to 50 cents for every dollar contribution that you make up to a maximum contribution of $500. To get the maximum government co-contribution, you must be earning less than $34,488. If you earn between $34,488 and $49,488, the contribution tapers by 3.33 cents for every dollar over the lower threshold. - If you have a small business, take advantage of the new $20k asset write-off before 30 June. That way, you accelerate the tax relief and you get relief at the current small business tax rates (30% for companies) rather than the lower rate that comes in on 1 July (28% for companies, or a 5% discount for sole traders). As well as being paid for, the assets you buy have to be in actual use or ready for use by 30 June. So, if you pay for something now but there’s a delivery delay and you won’t actually receive it until after 1 July, you cannot claim the deduction this tax year.